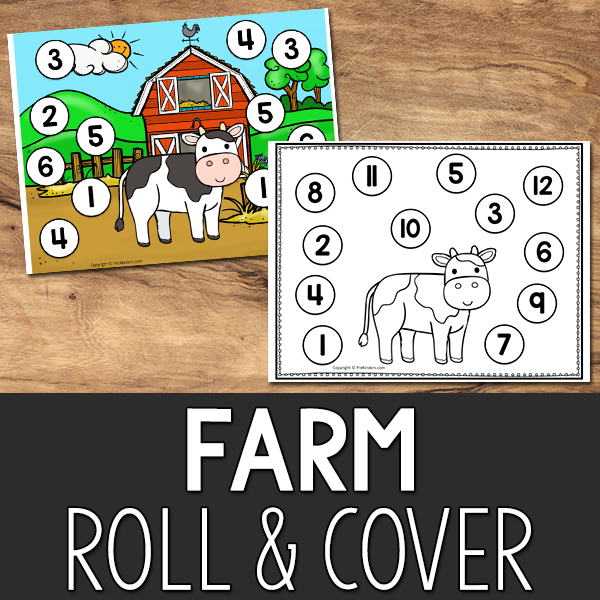 Roll and Cover games are dice games that help children practice numeral recognition and counting. 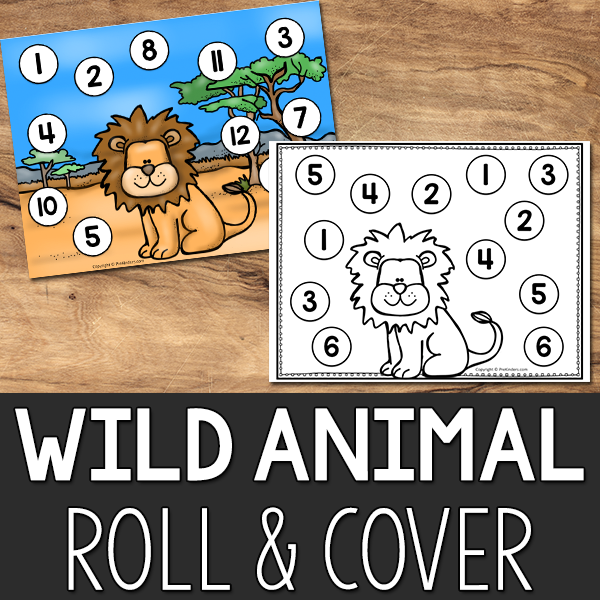 While using the 1-12 Roll and Cover game mats, advanced students will also practice addition. 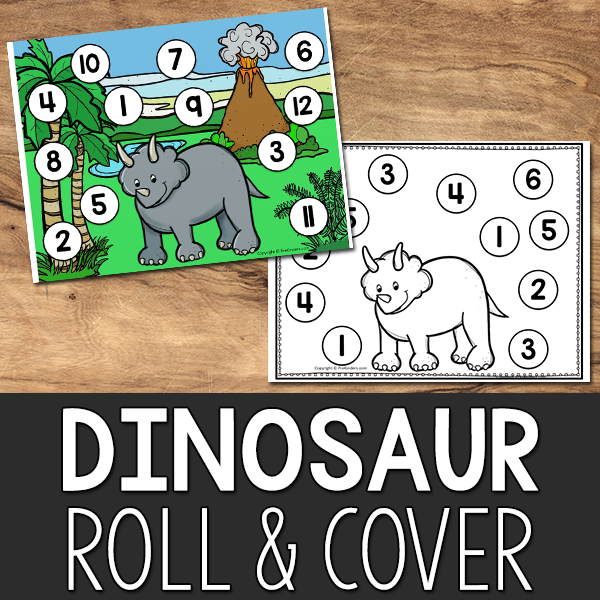 These games are easy prep and once the children understand how to play, these games can be used in the Math Center all year by simply changing out the Roll and Cover themed mat. I have included both color and blackline versions so you can pick your preference. If you choose the color version, I recommend laminating it to reuse each year. Use the color version with manipulatives, such as cubes, plastic chips, or flat floral marbles to cover the numbers. Use the blackline version to save ink and use these with manipulatives or with bingo dot markers. Decide if you want to use the 1-6 numeral mat or 1-12 mat. Children will roll a game die, count the dots on the die, and find and cover that number on the mat. 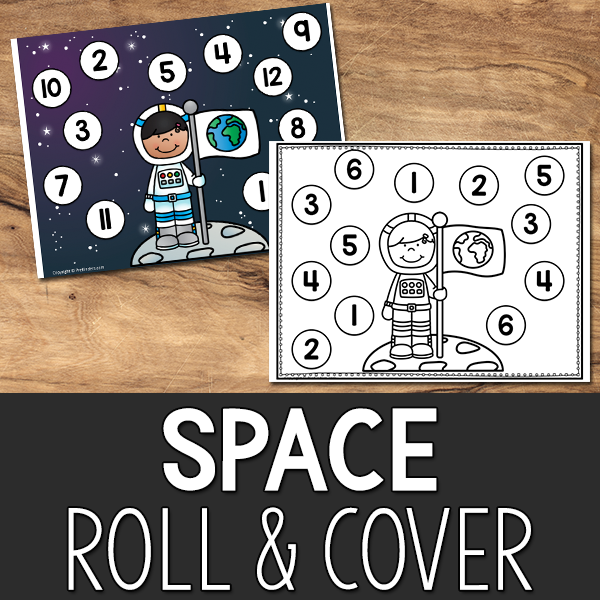 They will continue rolling and covering until each space is covered and the game is complete. If you would like for children to practice matching numerals, make your own game die with a wooden or foam cube and write the numerals on the die. 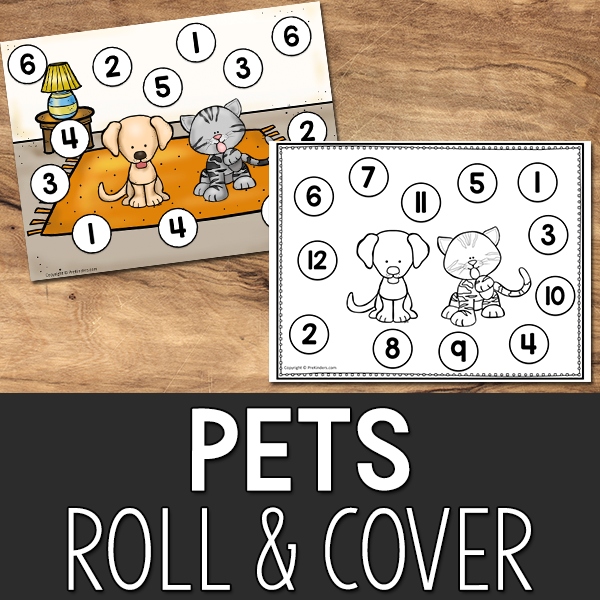 Use one game die with the mat that has numerals 1-6. 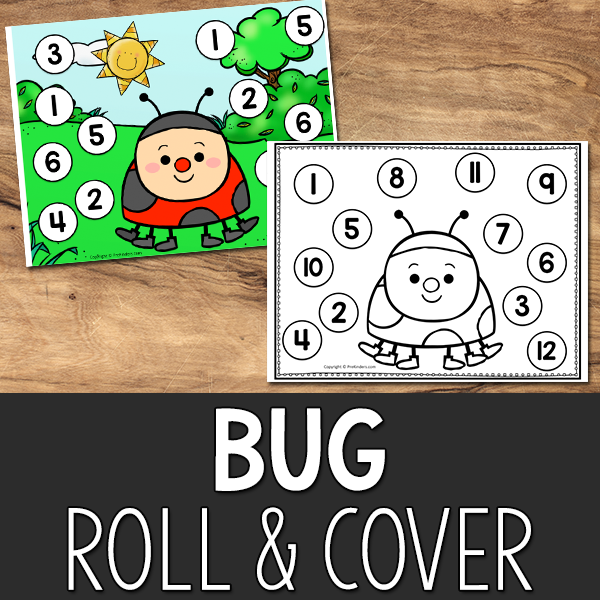 Use two game dice with the mat that has numerals 1-12, and have children add the dots on the two dice. 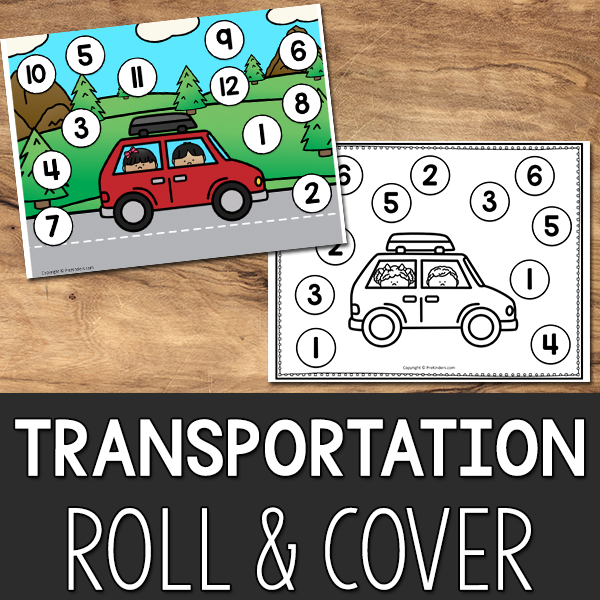 I currently have 4 Roll and Cover Games available now: Apples, Farm, Pets, and Transportation. Throughout the school year this year, I will be adding more games! Check back at this page to see the new games, or subscribe to my emails to get updates. Using the 1-6 math with 1-6 numeral dice (so children are matching numeral to numeral). Using the 1-6 math with 1-6 dotted dice (so children are counting the dots and matching it to the numeral). Using the 1-12 mat with two dotted or numeral dice (so children are adding). 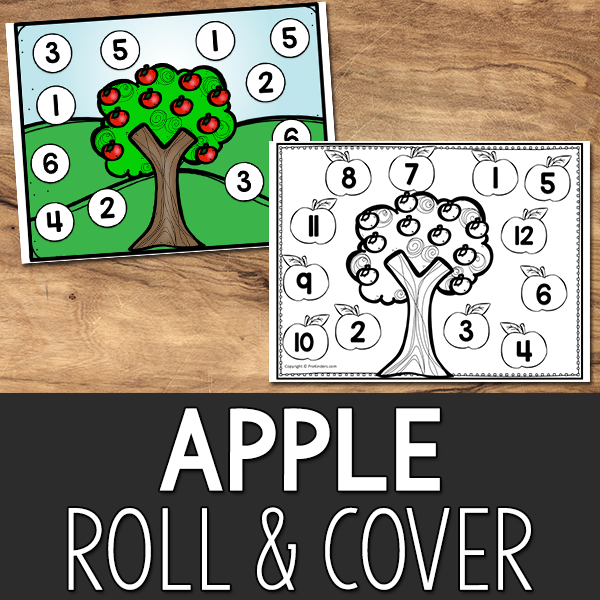 One way to differentiate this game in your Math Center is by printing both the 1-6 and 1-12 mats, then place them back-to-back in a page protector. Kids can just flip the mat to the side they need. 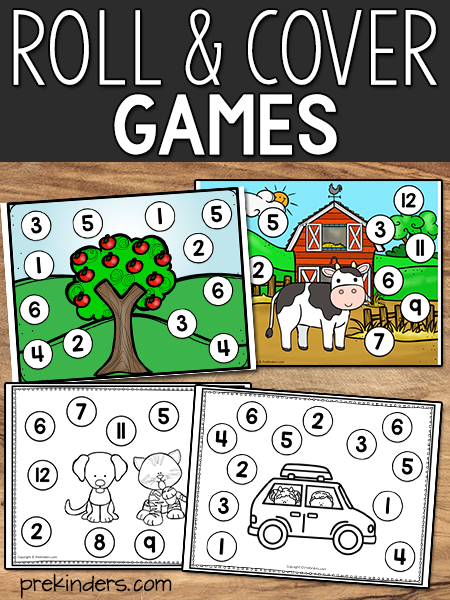 If you like these games, you might also enjoy Grid Games and Bingo Stamping Games. To download, just click each image below. 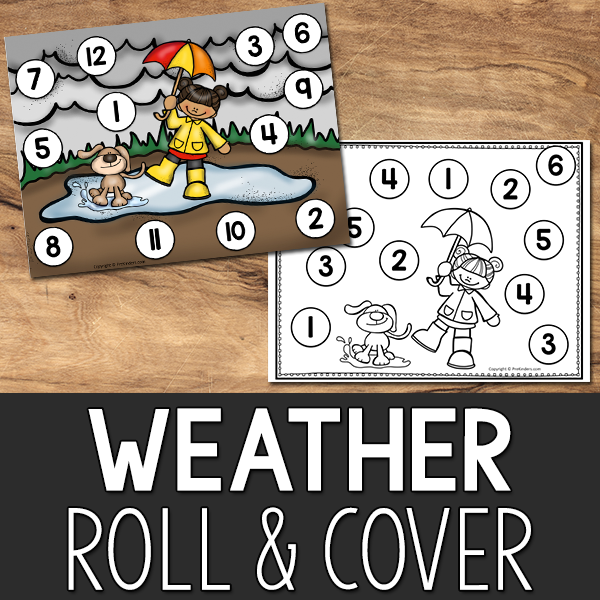 These are free printables. These are adorable and I can’t wait to use them. 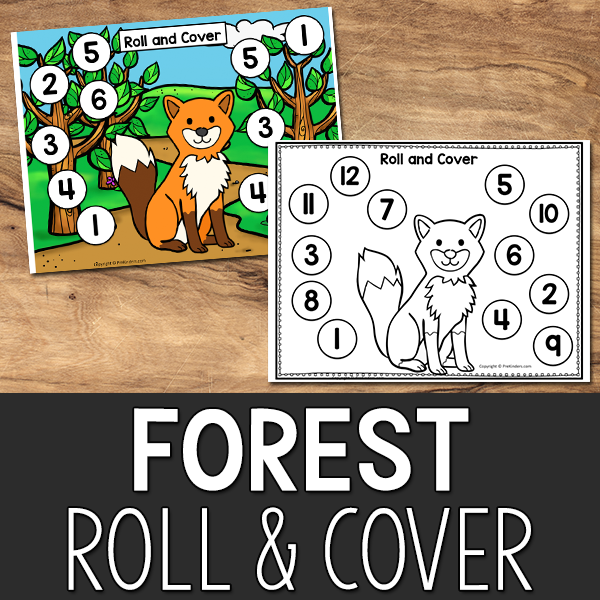 Thanks for these cute Roll and Cover Math games. 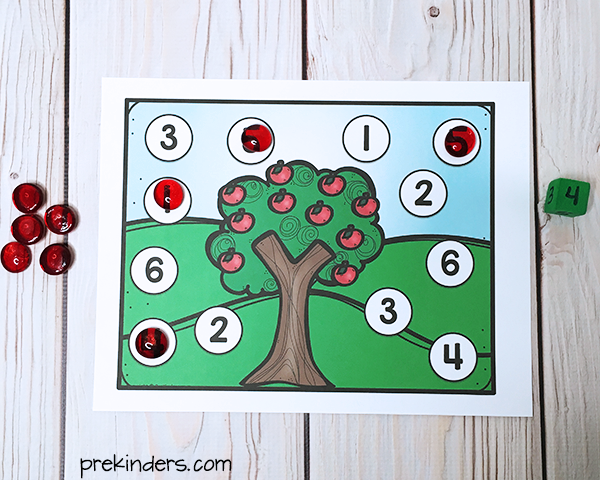 A fun way to practice numbers. I love these! Thank you for sharing. This is an awesome way to see what my students know with numbers and to stretch their understanding. Thanks for these fun and stimulating math activities. I know the children will surely love this game. What an awesome addition to my themes. I love activities that teach while children play, and these fit that bill 🙂 Thanks for sharing! Thank you ☺️ Karen. Excited to print them up and use them!!! Very creative and enjoyable way to teach the children. Can’t wait let my children learn from it. Thank you for sharing your great products! I love how you provided ways to differentiate these games. One more way, for some kindergarteners who are reading already, might be to read a number word on a die and match it to the numeral on the game board. Thanks again! Thank you very much appreciate what you are doing. I tries printing the picture but its coming out portrait instead of landscape. Am I doing something wrong? It’s your printer that is doing that, so you’ll need to change the setting on your printer. When your print window pops up, look for “Orientation” and select “auto”. Thank you for sharing these wonderful Roll and Cover Math games. My granddaughter’s eyes light up when she sees this activity. I am again teaching kindergarten after quite a few years of retirement so your products are much appreciated and very helpful! I am so grateful for you! Thank you for making lives of other teachers easier by share your adorable creations! I, too, am a Ga PreK teacher. I’d love to meet you sometime. I’m in Habersham Co…Northeast Ga.